It is 100 years since the grandfather of modernism Walter Gropius opened the original Staatliches Bauhaus or Bauhaus school in Weimar. In celebration of the movement’s unparalleled and enduring impact, organisations around the world are hosting open-houses, tours and exhibitions to celebrate this landmark birthday. The German city of Weimar was the first home of Walter Gropius’s Bauhaus school and on 6 April 2019 the Bauhaus Museum Weimar will open after three years of construction. Designed by Prof Heike Hanada, the new museum showcases modernism in chronological layers. 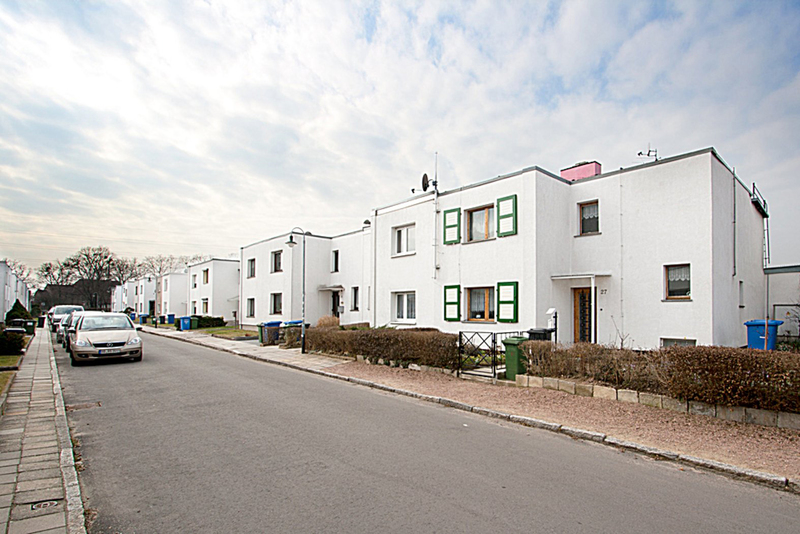 If you’re making the trip to Dessau for the Bauhaus Museum Weimar, it’s worth taking to the city on foot to check out the strikingly sinuous Carl Fieger-designed Kornhaus and Gropius housing estate masterpiece, Dessau-Törten. Located in the German town of Eisenhüttenstadt, Design for Life–Bauhaus Design in the GDR opens at Dokumentationszentrum Alltagskultur der DDR on 7 April 2019. This new exhibition explores the interaction between political developments in the German Democratic Republic and changing attitudes to Bauhaus design. 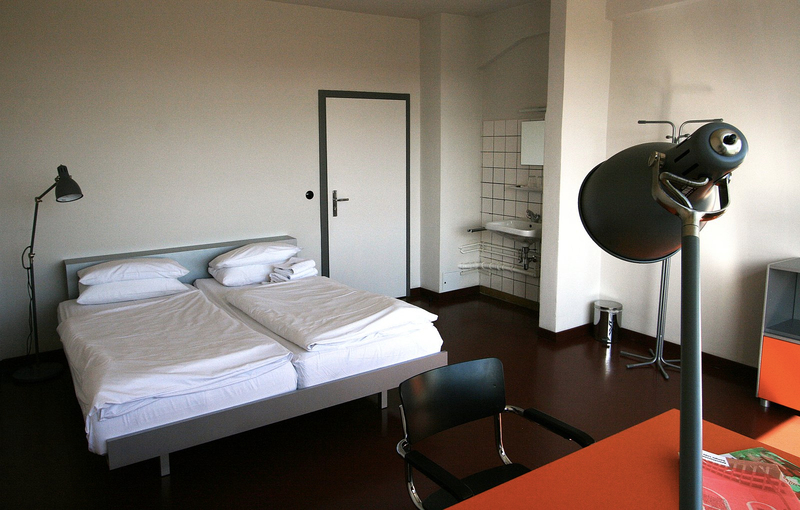 The Prellerhaus was completed in 1926 and guests can spend a night in the recreated studios of the Bauhaus Dessau. Replica furniture and original floor-plans conjure the original atmosphere, with rooms dedicated to Bauhauslers Alfred and Gertrud Arndt, Josef and Anni Albers and Franz Ehrlich. 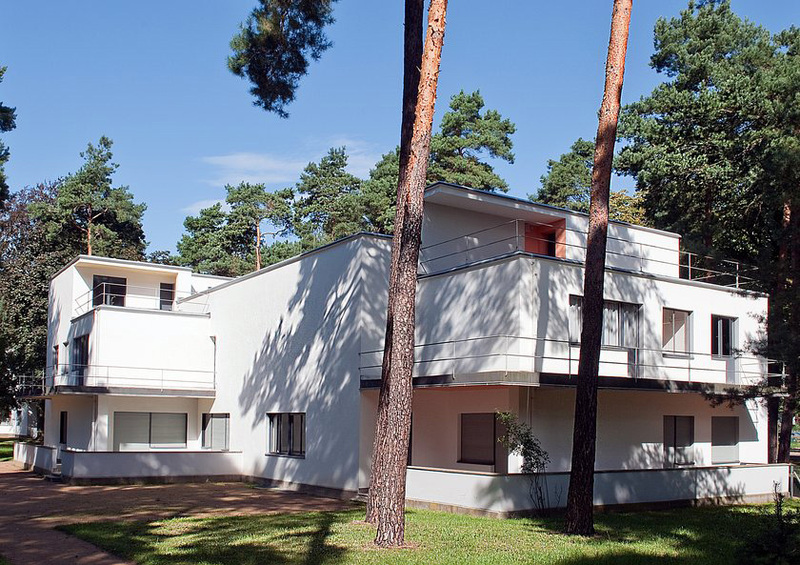 Reopening in spring 2019, the Bauhaus Masters’ Houses were commissioned to be designed by Gropius by the city of Dessau. 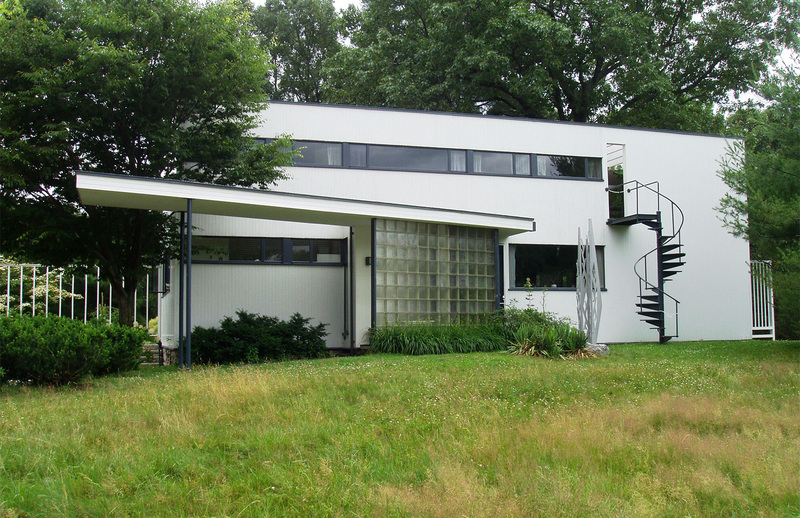 Former residents include László Moholy-Nagy, Lyonel Feininger, Georg Muche, Oskar Schlemmer, Wassily Kandinsky and Paul Klee. 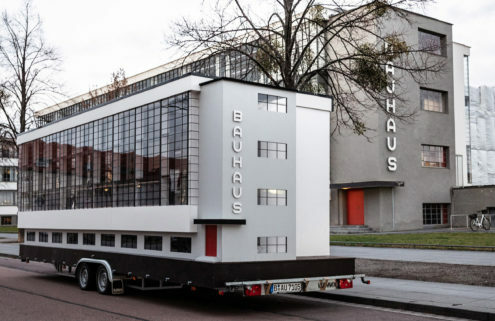 The ‘Wohnmaschine’, designed by Berlin architect Van Bo Le-Mentzel, mimics the original Bauhaus Dassau building with its glass walls. 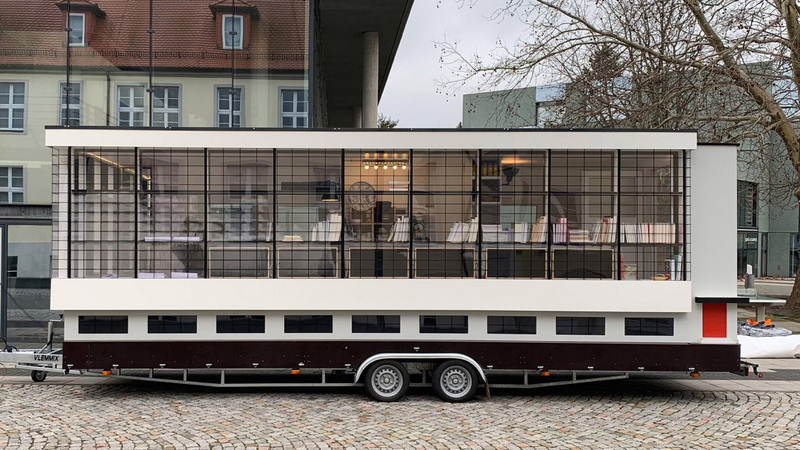 The ‘tiny school’ on wheels is embarking on a four-city tour, hosting exhibitions, talks and a dedicated reading room in a mere 15 sqm. 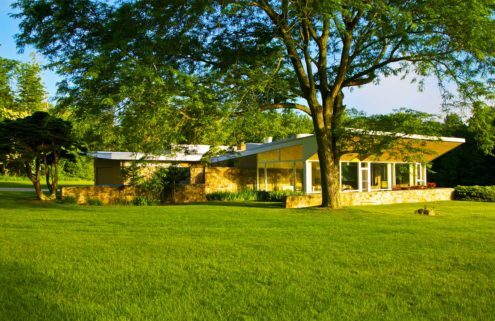 Bauhaus founder Gropius completed his Massachusetts home in 1938 and lived there with his family until his death in 1969. Those intrigued by this striking convergence of modernism and New England style can visit on weekends. 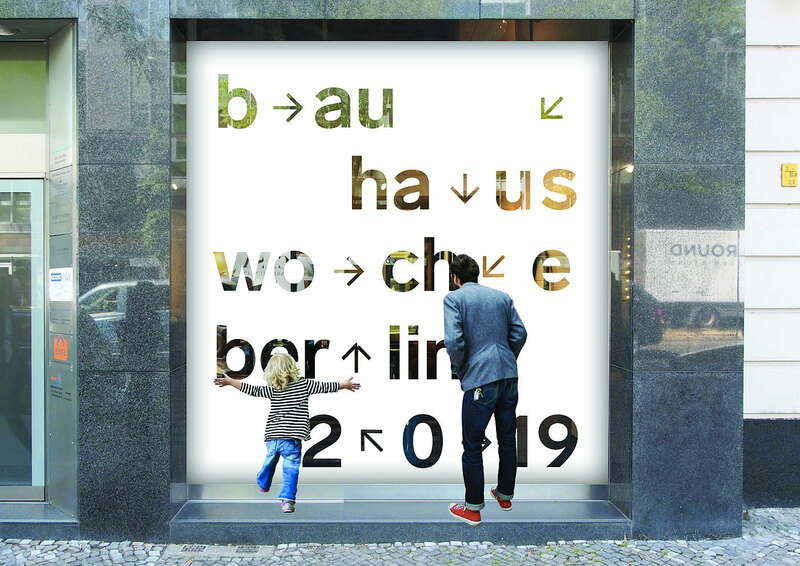 With a grand opening taking place at Berlin’s Akademie der Künste on 31 August 2019, this one week long, city-wide festival will celebrate the story and legacy of the Bauhaus throughout Berlin. Expect immersive experiences and installations ranging from shop window displays to lectures and workshops, restaurants serving Bauhaus-inspired menus and even rooftop gymnastic sessions inspired by the movement’s emphasis on daily routines. 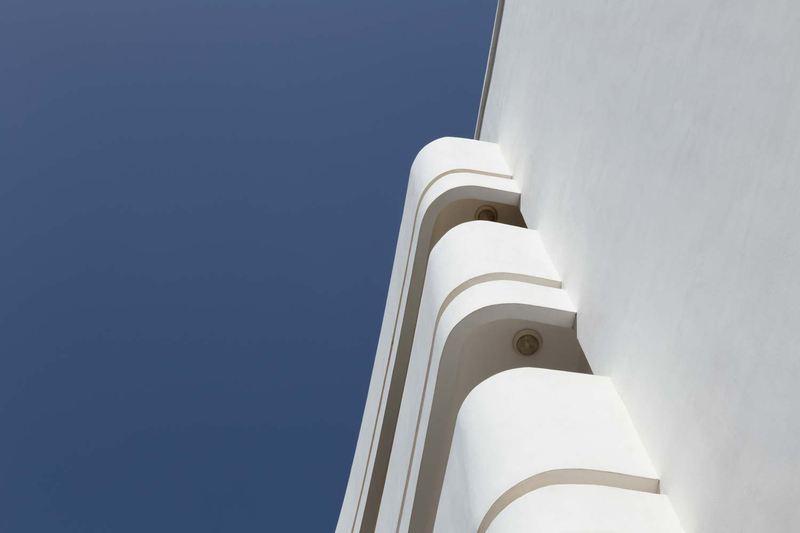 White City was awarded Unesco World Heritage Site status in 2003 and remains an authentic destination for Bauhaus enthusiasts. 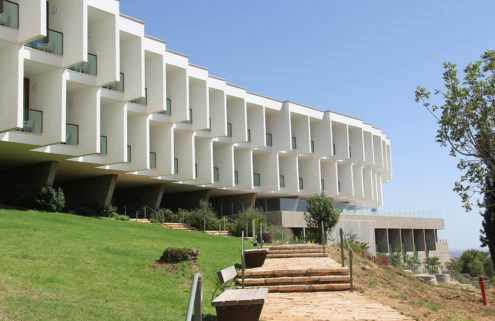 Join the Bauhaus Center Tel Aviv White City for a guided tour that includes Poli House, now a Karim Rashid-revived hotel. 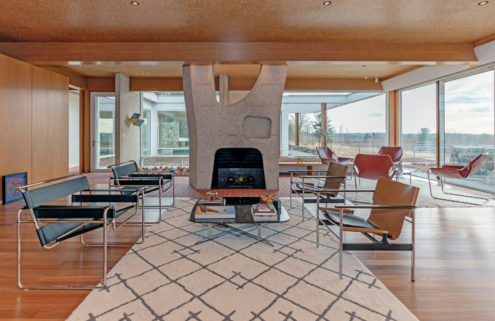 But if you can’t travel there in person, take an armchair tour of the enclave’s swooping curves. 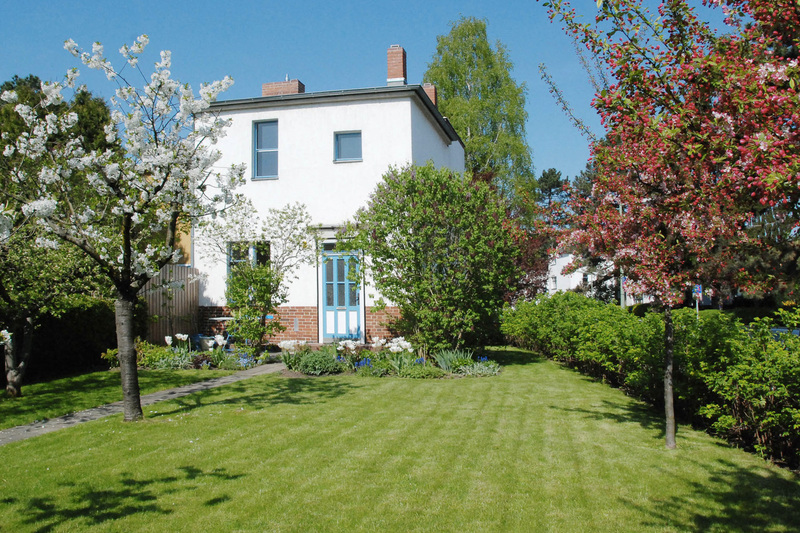 Another Unesco World Heritage-listed Bauhaus destination, Tautes Home was designed by architect Bruno Taut in the 1920s and is part of the Horseshoe Settlement in Berlin. Groups of 2 to 4 guests can stay at the house overnight and indulge in an immersive Bauhaus experience, from $160 per night via Plans Matter. 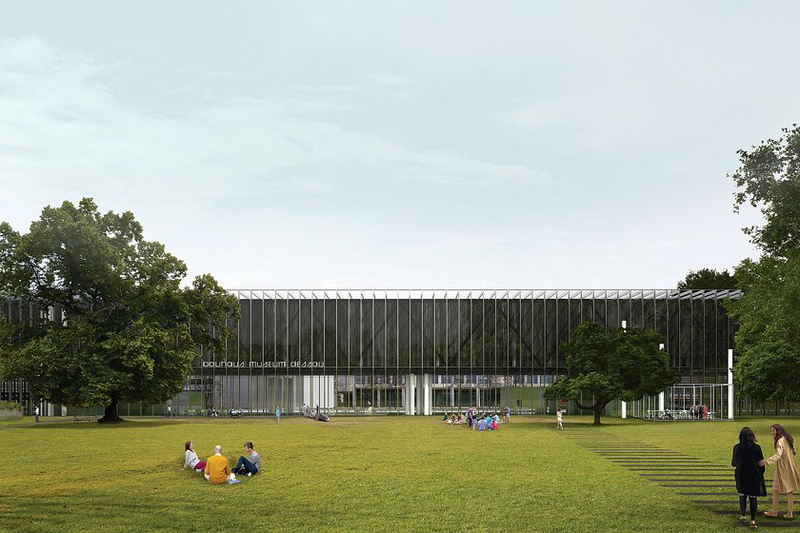 Designed by Spanish practice Addenda Architects, Bauhaus Museum Dessau will finally throw open its doors on 8 September 2019. 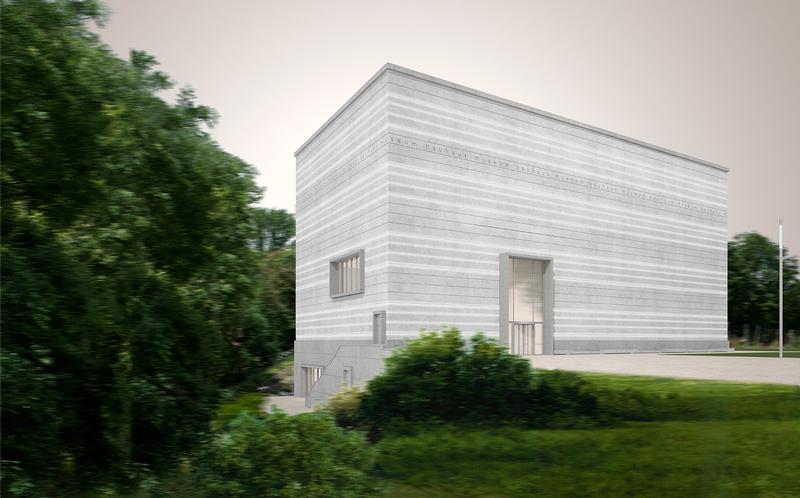 A second Bauhaus school opened in Dessau in 1925 and the new building will showcase the Bauhaus Dessau Foundation’s collection of 49,000 artefacts – the second-largest collection worldwide.